"When we started our nanny search, I received excellent profile choices for candidates right in NYC! We were surprised how close in proximity each of the nannies recommended to us were and the professionalism was far beyond anything we could have found independantly. I love the new nanny attire they've implemented too and I'm pretty sure the buzz in the city about ABC's new nanny ensembles will be quickly discovered and well appreciated by Moms everywhere!!" Ask about the New Nanny Attire! Start Nanny Search Today! No Obligation! ABC Nanny Source consists of an elite team of expert professionals that are trained in identifying qualified, trustworthy and dependable caregivers. While you are looking for a Nanny Agency in New York City, you will appreciate that ABC Nanny Source is very selective with each NYC Nanny we accept and allows the interviewing process for your family will be enjoyable and effortless. All children deserve to have individualized attention that promotes a lasting and positive impression on their life. A Career Nanny demonstrates consistency, stability and trust. Our ABC Nannies are the best in the childcare industry and exhibit characteristics founded in education or experience, focus, devotion, and routine. ABC Nanny Source is a reputable Nanny Agency serving New York City that is known for being the only agency in the country with an unparalleled 10 Step Screening Process. Safety comes first here, which you will not find among your other choices of Manhattan Nanny Agencies. You can feel confident that your children will be in the hands of a highly experienced and capable NYC Nanny! Our stringent prerequisites are what identify our candidates as the best in the New York Metropolitan area. Each ABC Nanny has met with two placement counselors in person for a face-to-face meeting and has completed our extensive screening process prior to being accepted. Tremendous attention is given to each applicant’s credentials, demeanor, work experiences and references. ABC Nanny Source typically accepts less than 10% of all applicants because of our high standards. Due to our rigorous screening process we have proven to effectively provide only the most elite Manhattan Nannies. ABC Nanny Source has a team of recruiters, placement counselors and a verification department that are all working behind the scenes to ensure that only the most competent NYC Nannies are presented. 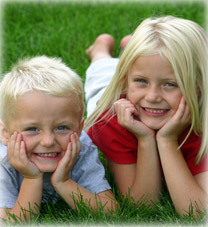 So, whether you need to find a Nanny in Long Island, The Hamptons or Manhattan, we have the right fit for your family! We are proud to say that ABC Nanny Source is known for dedication, understanding, and commitment to each and every one of our families and Nannies! The ABC staff does all of the work in advance so that you can feel confident you are making a very informed choice. We also implement a standard Offer of Employment proposal when you have made your decision that outlines the details while keeping them simple and clear. We are extremely confident in each of our placements, which is why we offer a full ONE-YEAR GUARANTEE! 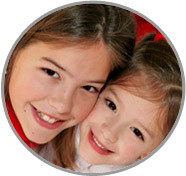 We ensure that hiring a NYC Nanny through ABC Nanny Source will always be a very positive experience! Our dedicated team is highly experienced in the household employment field, and all questions are welcome! Please contact and ABC Nany Source placement counselor today to receive more details and find your ideal NYC Nanny right away! Click Below to View Examples of New York Nannies in the ABC Network!